Germany's Federal Finance Ministry has amended the way German media funds operate, bringing both an end to months of uncertainty about their future and giving investors more control over films in their portfolio. Last year, the future of German funds came under threat after the Finance Ministry proposed tighter regulations governing them (Screen Daily, July 9, 2002). A key fear was that the Finance Ministry would consider investors in film funds merely as acquirers of film rights rather than as producers - depriving them of an immediate 100% tax deductible write off. However, an amended version of the Finance Ministry's Media Decree published on August 6 allows investors still to be considered as producers. 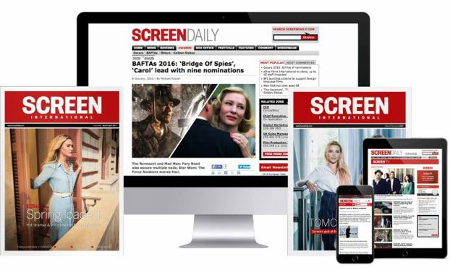 "It may not be a huge step forward, but it takes away the insecurity about whether film funds could still happen after December 31 this year", David Groenewold of German Film Productions told Screen Daily. The Finance Ministry has also amended the way the funds operate, giving investors more control over projects selected for investment and thus allowing funds to only have so-called blind pools in their prospectuses. Funds will be required to form an advisory board comprising investor representatives once at least 50% of the planned capital has been placed. The representatives of the investors must not be associated in any way with the initiator or the fund's management. "They will have to make the decisions with us, meaning in the end I cannot just propose a package of projects to them", Groenewold explained. "I will always have to say 'Here are a number of producers, this is what we want do' and then the advisory board and I as the management will have to negotiate with the producers." According to the revised Media Ruling, the investors will now be involved directly in the decision-making process on "all essential measures of film production, particularly the choice of film subject, screenplay, the cast, the calculation of the costs incurred, the shooting schedule and the financing. The agreement alone to the concepts or draft contracts proposed by the initiator doesn't denote sufficient influence." "This is great for initiators of funds in terms of liability because I am on a very tight leash and everyone knows what I am doing. It is also very good in terms of transparency that needs to be there for investors," Groenewold told Screen Daily. "In terms of the daily management, it will make things a little more complicated, but manageable. It is not an insurmountable hurdle that you can't get across." However, he noted "that we still don't have clarification on the question of international and European co-productions although there are rumours that another addition will come by the end of the year. And I am also missing a little more emphasis on German productions. I still cannot understand why the politicians in this country do not understand that two or three sentences in an addition to the Media Ruling would make life easier for German producers and for the German film industry. With this [new version of the Media Ruling] we will still rake hundreds of millions of dollars to the US."